A new Chinese barbecue spot has debuted in the neighborhood. Located at 232 W. 22nd Place in Chinatown, the new arrival is called Gao's Kabob Sports Grill. This spot offers a range of protein-based kabobs and also a variety of vegetables, seafood dishes and entrees to boot. Look out for kabobs like ribs, chicken heart, squid feet and lamb kidney. Spicy seafood stir fry, crawfish platters, spicy jellyfish and stir fried crab are on offer as larger plates, as are beer, tea, juice and soft drinks to quench your thirst. With a 3-star rating out of six reviews on Yelp so far, Gao's Kabob Sports Grill seems to be still ironing out the kinks. 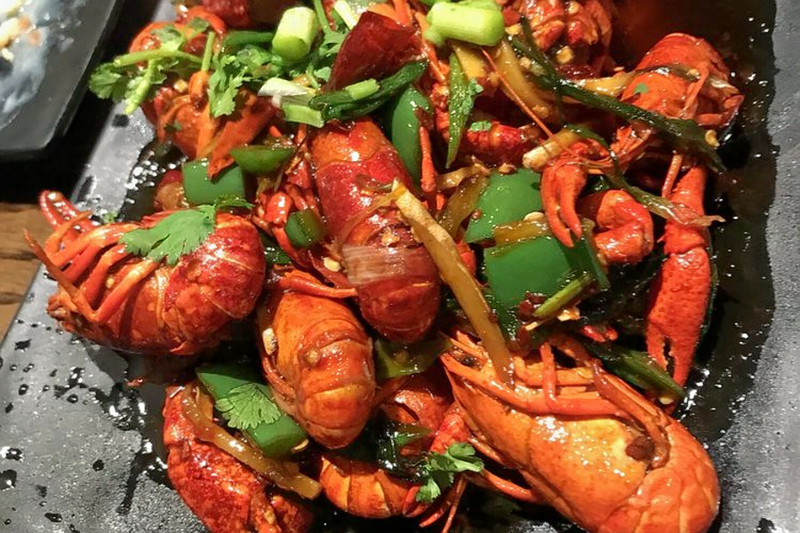 Jason C., who was among the first Yelpers to review the new spot on July 21, wrote, "New phenomenon Chinese barbecue in Chicago. They just had their grand opening at this location, so they are still working on their beverage license. Very intimate service unlike most of the restaurants in Chinatown." And Vicky L. wrote, "This is the first kabob spot that I quite enjoyed this far. The price is quite normal, but expect the wait time to be extra long. We got there around 7:30 p.m. and stayed there until 10:30 p.m."
Head on over to check it out: Gao's Kabob Sports Grill is open from 5:30-2 a.m. daily.